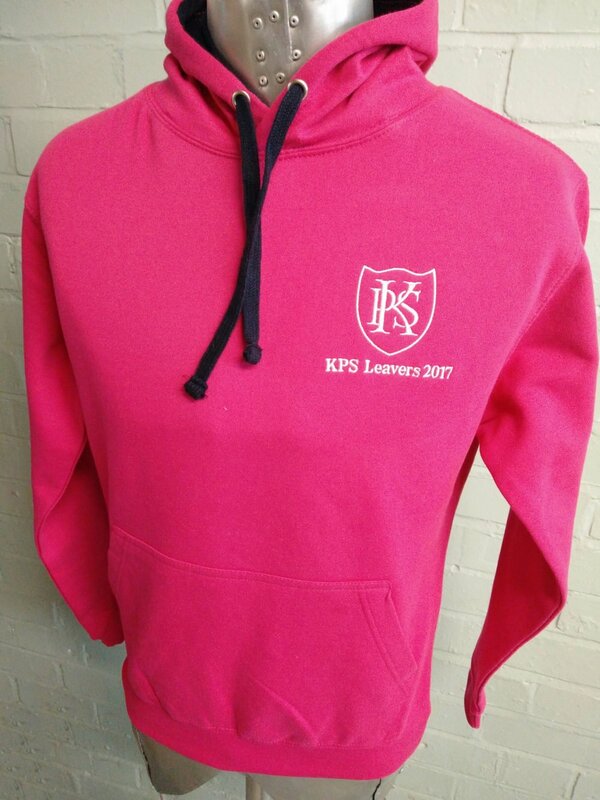 Bright and colourful pink Leavers Hoodies for KPS Leavers 2017. 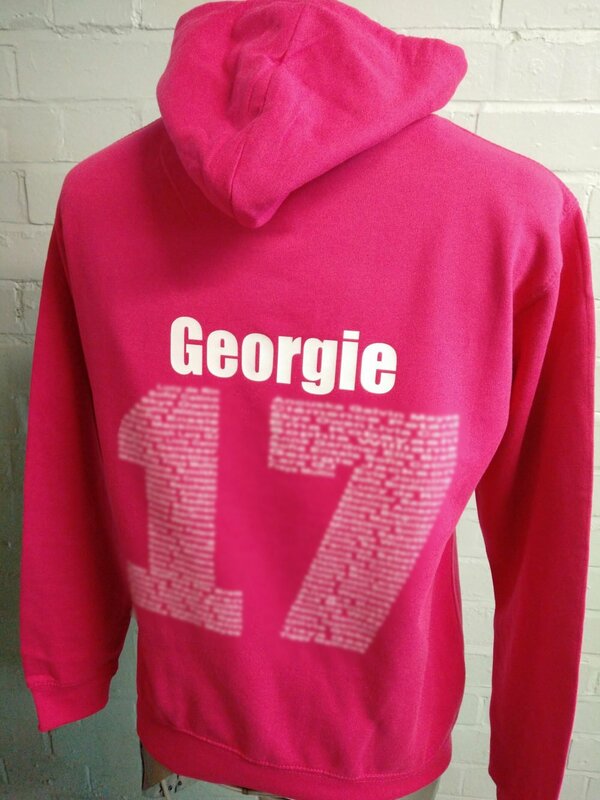 With custom Leavers / School logo embroidered on the front and Custom Leavers Names print on the back for the 2017 Leavers, these stand out. 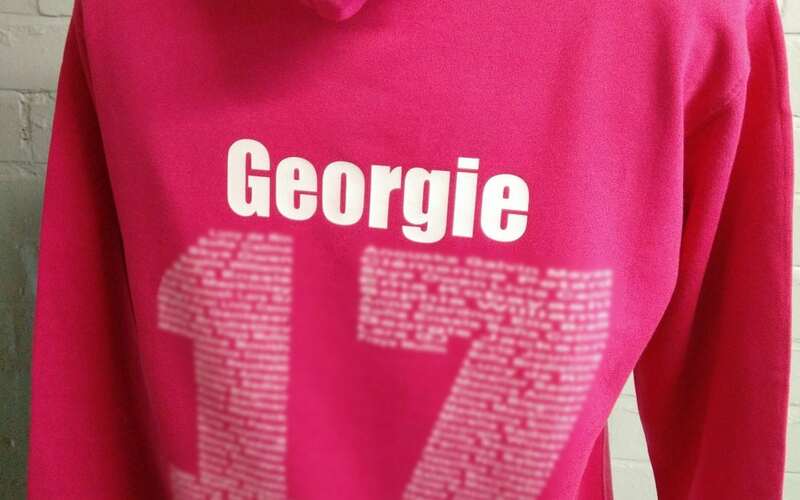 This hoodies option also has different colour hood inside (black) and black tie strings also.